After a 7 year delay, the SSC Tuatara finally arrived last year claiming to be the fastest car in the world. The West Richland, Washington based company is hard at work tweaking the car for an attempt at 300 mph sometime next year. We have been waiting in anticipation to see the car in action, oblivious to the fact that the company has been uploading brief glimpses of the car on its Youtube Channel. One such video shows the car hit the dyno. It’s the white prototype that broke cover at Pebble beach last year. The car doesn’t go anywhere near the red line but the clip should still give you some idea of the growl of the twin-turbo 5.0-liter V8. The engine produce 1750 hp on E85 fuel which is 150 hp more than what the recently unveiled Koenigsegg Jesko produces on the same type of fuel. 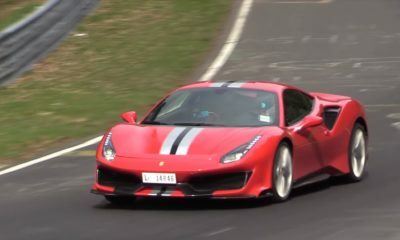 While on 91 octane, the engine produces 1350 hp. 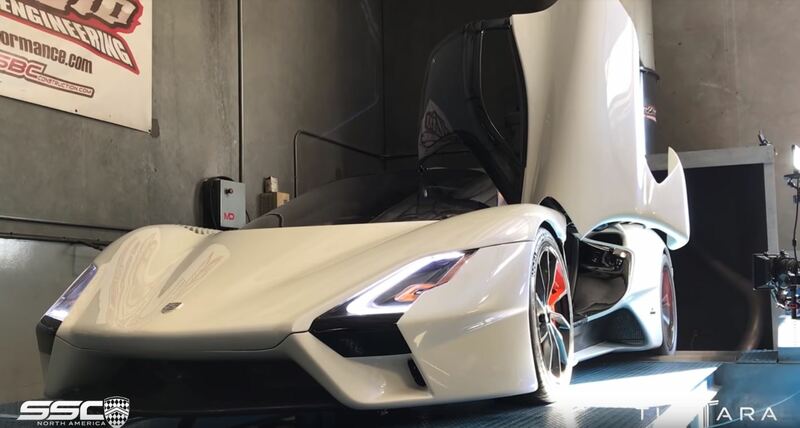 SSC has already started taking orders for the Tuatara at an undisclosed price. Only 100 cars are to be built and the production is set to begin soon. The war for the top speed crown has been heating up with the introduction of the SSC Tuatara, Hennessey Venom F5 and the Koenigsegg Jesko. All claiming to achieve the 300 MPH golden number. Next year when we shall find out the final winner.